Whenever the topic of football is brought up, we are quick to remember quarterbacks like Aaron Rodgers or Tom Brady, or wide receivers like Jerry Rice or Terrell Owens. Attacking players always seem to get all of the attention. However, it would be silly to assume that these names and more single-handedly carried their team, hence the need to talk about the greatest safeties of all time. Throughout the history of the sport there, have been defensive players that were more than worth their weight in gold. They fulfilled their defensive responsibilities with a mixture of brutish force and a finesse akin to that of Mozart. These men struck terror in the hearts of many wide receivers and quarterbacks and deserve the spotlight too. Here is a list of 10 names that are deserving of a place on the list of the greatest safeties of all time. Ronald Mandel Lott is not a name to forget in a hurry. In the 1980s and 1990s, during his fifteen seasons as a professional player in the NFL, he played for four top of the line NFL teams. He attended the University of Southern California, where he was recognized as a unanimous All-American and led his team, the Trojans, to the Rose Bowl title in 1979. He was a first-round draft pick (8th overall) of the San Francisco 49ers in the 1981 NFL Draft. Ronnie spent nine years with the team and moved on to play for the Los Angeles Raiders in 1991, and the New York Jets in 1993. He rejoined the San Francisco 49ers in 1995 but retired in the same year before the commencement of the season. Ronnie is one of the most decorated players in NFL’s history. During this career, he won four Super Bowl titles with the 49ers, and part of Pro Bowl for 10 seasons. He is also an 8-time First-team All-Pro and in 2000, was inducted into the Pro Football Hall of Fame. A worthy addition to this list of the greatest safeties of all time. Born in the 1920s, Tunnell grew to become one of the best safeties in the history of the sport. Known for his interception ability, he was an integral part of the famed “umbrella defense” of the New York Giants of the 1950s. Emlen played for the University of Toledo in 1942 before he volunteered for the United States Coast Guard the following year during World War II. After his time with the Coast Guard, he spent two years with the team at the University of Iowa. Tunnell became the first African American player ever to be signed by the New York Giants in April 1948. He hit the ground running from his rookie season and became a stalwart in the team’s defensive line for the 11 years he spent with them. in 1958, he joined the Green Bay Packers and stayed with them for three years, winning the NFL Championship in 1961. By the time he retired in 1962, the Tunnell had a plethora of enviable records. He is the player with the second most interceptions (79) in the history of the NFL. He is a two-time NFL Champion, was voted to 9 Pro-Bowls, and is a 6 First-team All-Pro. In 1967, he was inducted into the Pro Football Hall of Fame, becoming the first African American to be awarded the honor. The teeming fans of the Baltimore Ravens will not forget Edward Earl Reed Jr. in a hurry. After a stellar collegiate football career at the University of Miami, Ed was selected by the Baltimore Ravens in the first round of the 2002 NFL Draft. He spent 11 years with the franchise, winning the SuperBowl in his last season with the team. He would go on to play for the Houston Texans and New York Jets, both in 2013. By the time he retired from the sport in 2015, he had racked up 64 professional interceptions and 1590 interception running yards. From 2003 to 2012, he was called up to the Pro Bowl nine times and was a 5-time member of the First-team All-Pro and a 3-time Second-team All-Pro. He was also a two-time consensus All-American back in his time in college. He is definitely one of the greatest safeties of all time to have ever played the game. Krause stands head and shoulders above most of the others on this list and with good reason. One of the greatest defensive stalwarts of the game, he holds the record of the most interceptions in NFL history (81), a record he set in 1979, usurping Emlen Tunnell’s NFL-high 79 interceptions. What is even more remarkable is that he garnered these interceptions of 45 different quarterbacks. Paul spent his professional football career with the Washington Redskins (1964 – 1967), and the Minnesota Vikings (1968 – 1979). Vikings played was a part of the team in the four appearances the Minnesota Vikings made in the SuperBowl. Krause is a 1969 NFL Champion, an 8-time Pro Bowl player, 3-time First-team All-Pro and 4-time Second-team All-Pro. An alumnus of the University of Iowa, he was inducted into the Iowa Sports Hall of Fame in 1985 and enshrined into the Pro Football Hall of Fame in 1998. A former football strong safety and first-round pick of the Pittsburgh Steelers, Troy is a deserving name on this list. He is part of a dying breed of lifer-players who spent their entire career in a single team. After becoming a consensus All-American and a two-time First-team All-Pac-10 player for the University of Southern California, he was drafted by the Pittsburgh Steelers in the 2003 NFL Draft. 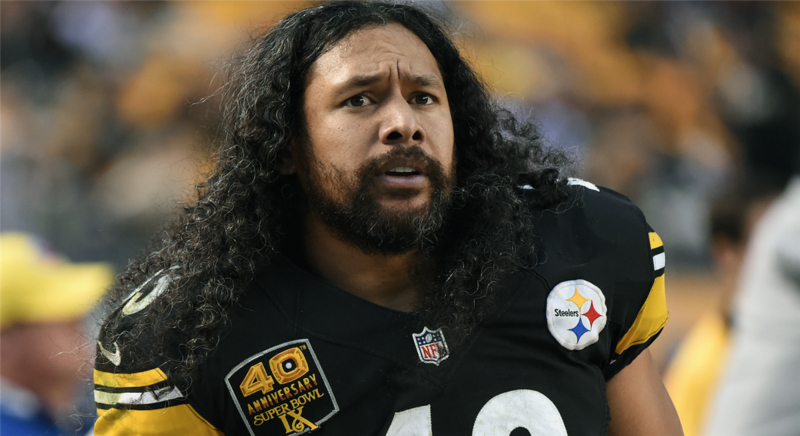 A hard tackling expert, Polamalu was named the NFL Defensive Player of the Year in 2010 and was part of the Steelers squad for their SuperBowl championship-winning games in 2005 and 2008. He was also voted to the Pro Bowl eight times between 2004 and 2013. The former safety is also a 4-time FIrst-team All-Pro and a 2-time Second-team All-Pro. He retired in 2015 with a record of 770 tackles, 3 touchdowns, and 32 interceptions and was also named to the Pittsburgh Steelers All-time Team. This Greenwood native’s career is not anything to scoff at by any stretch. He had already started showing his drive and talent from his time in high school. Jake played football for Washington-Lee High School, and subsequently the University of Georgia. For the latter, he was the school’s interceptions leader in 1967 and 1968 and was named First-team All-Sec defensive back in both years. His professional career kicked off with the BC Lions of the Canadian Football League until he was drafted by the Miami Dolphins the following year. He quickly became an integral part of the team and was part of the Super Bowl winning appearances in 1972 and 1973, winning the title of Super Bowl MVP in the former. After playing for the Washington Redskins in the final three years of his career, he retired in 1978, having started all the 126 games of his nine-year professional career. Jake Scott is also a 5-time Pro Bowl player and a 2-time First-team All-Pro among many other accolades. He will always be recognized as one of the greatest safeties of all time. The Florida native came onto the professional football scene in 1996 and carved his name into the Hall of Fame of the sport as one of the greatest safeties to ever play the sport. 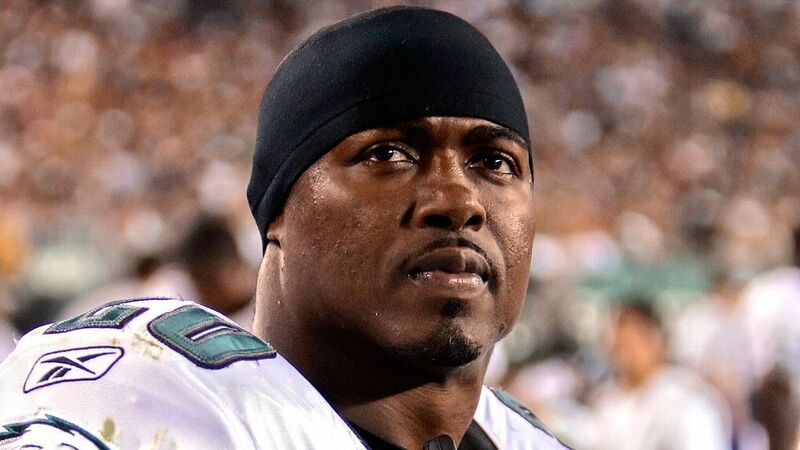 Dawkins turned out for thirteen seasons with the Philadelphia Eagles before joining the Denver Broncos where he retired. Brian played for Clemson University and was a First-team All-ACC and First-team All-American in 1995. He was drafted by the Eagles in the 1996 NFL Draft and immediately established himself as a tough-tackling free safety. In February 2009, he joined the Denver Broncos on a five-year deal but retired ahead of the 2012 season. Brian’s game and leadership abilities on-and-off the gridiron were so evident that he was named the strong safety in Clemson University’s All-Centennial team in 1996, inducted him into the school’s Athletic Hall of Fame in 2009, and established the Brian Dawkins Lifetime Achievement Award in 2013. In honor of the player’s contribution, the Philadelphia Eagles retired his No.20 jersey in 2012. The 9-time Pro Bowl player and 5-time First-team All-Pro was inducted into the Pro Football Hall of Fame in 2018, a deserving honor for one of the greatest safeties of all time. Atwater is most remembered for his famous hit on imposing Kansas City running back Christian “Nigerian Nightmare” Okoye in September 1990. However, it is by no means the only reason why free safety makes this list of the greatest safeties of all time. The “Smiling Assassin” as he was dubbed played for the Lutheran High School North as a quarterback and then moved to safety when he joined the University of Arkansas, recording a school-high 14 interceptions in his collegiate career. He was drafted in the first round of the 1989 NFL Draft by the Denver Broncos and stayed with the team until 1998. He played his season with the New York Giants before calling time on his career after a one-day deal with the Denver Broncos. Atwater retired as a 2-time Super Bowl champion. 8-time Pro Bowl player and a 2-time First-team All-Pro. 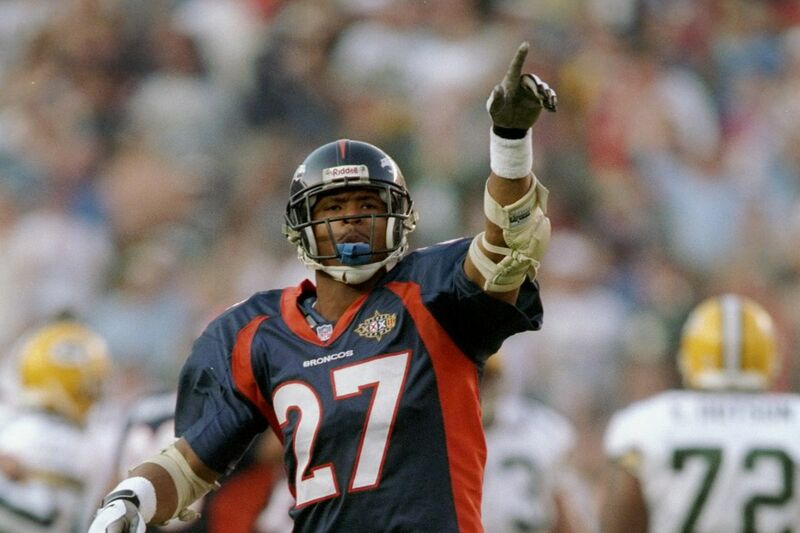 In 2005, the safety legend was inducted into the Broncos’ Ring of Fame. He may belong to this list but maybe will argue – and rightly so – that he had more physical hurdles to surmount to remain relevant in this sport. Dillon is the only player on this list of greatest safeties of all time to achieve what he did while seeing out of only one eye. He started his career in high school where he turned out for Temple High School before joining the University of Texas, earning himself All-American honors during his time there. Dillan did not let his blindness stop him from becoming a legend of the game. 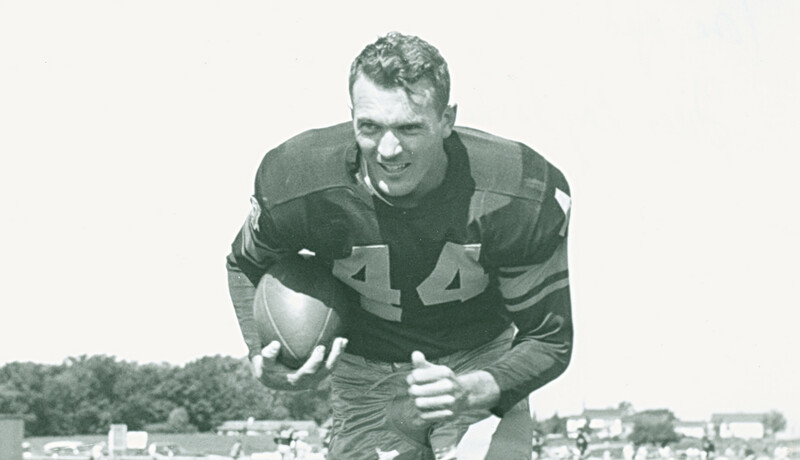 He played professionally for the Green Bay Packers from 1952 to 1959, averaging 8 interceptions per season for six straight seasons (1953 – 1958). Paradoxically dubbed “The Hawk” on account of his one working eye, he was the second player in the history of the NFL to record 50 interceptions and also holds the interceptions record (52) for the Green Bay Packers. The defensive back was a 4-time All-Pro and Pro Bowl player and was named to the PRFA Hall of Very Good Class of 2011. He is the longest-serving player on this list of greatest safeties of all time. Woodson was attached to the gridiron for 17 years, culminating in 2003. During his career, he played his game for four different top-level franchises. He played for Purdue University and left for the Pittsburgh Steelers in 1987 after garnering 13 individual records for his college football career. He joined the Steelers as a first-round selection and spent 10 years with the franchise. Woodson made the Pro Bowl in six straight seasons (1989 – 1994) with the Steelers. Before retiring in 2003, he also played for the San Francisco 49ers, then the Baltimore Ravens, and the Oakland Raiders. He was an All-Big Ten and All-American during his time at Purdue. Rod also won the Super Bowl with the Ravens in 2000. In his career, he was an 11-time Pro Bowl player and 6-time FIrst-team All-Pro. His name has also made it into the Purdue Intercollegiate Athletics Hall of Fame (2003), Pro Football Hall of Fame (2009), and College Football Hall of Fame (2016). He also sits in third place on the list of the highest interceptions (71) in NFL history behind Emlen Tunnell and Paul Krause (81) and Emlen Tunnell (79).